Just like a jacket and coat, boots are a must when the weather is bad. 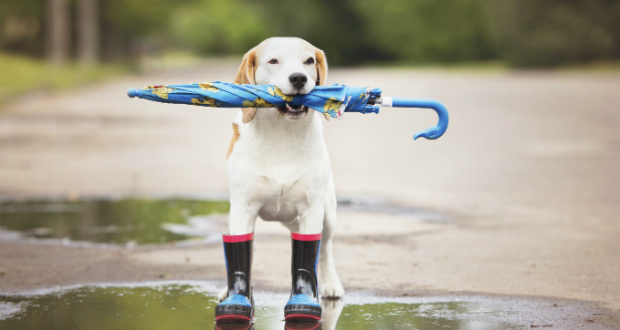 Not only do they keep your dog from the elements, they also protect delicate paws from dangerous litter and salt. It may take some time for your pup to get used to the weight and the oddness of having a paw covered, but it certainly serves both a stylish and necessary function. Once the dog gets used to a boot, try adding on made-for-dog shoes. From cowboy boots to bunny slippers, your dog’s shoe closet may fill up faster than your own.